It is very rare in India to have a company like Infosys that is not managed by a promoter. It is rarer still to not have any promoter or their nominees on the board. And it is unheard of to have a situation where a “no-promoter, professionals-only board” strikes back at a promoter who has declared open war on them. What we are used to in India is this: “Love thy promoters. Thou shall not question their divine right to run the board and the company (no matter how tiny their shareholding)”. Small shareholders love promoters because they believe that since promoters have their own wealth—and their children’s future inheritance—invested in the company, they are bound to take great care to manage the company well and grow its value. They also believe that promoters will be better at running companies than outsiders because they had either learnt the ropes at their father’s knees, or have themselves created and nurtured the business. Institutional investors, especially Indian ones, are no exception to the norm and love promoters for the same reasons too. I remember once being at the annual general meeting (AGM) of Titan, and having a conversation with a board colleague, a high powered finance professional, about what he described as “this touchy-feely thing called brand equity”. He asked why so much money needed to be spent on it, and what purpose did it serve really? Also present at the AGM was a very young Noel Tata, the newest member of the board, who hadn’t earned his entrepreneurial stripes yet; it was his first Titan AGM. 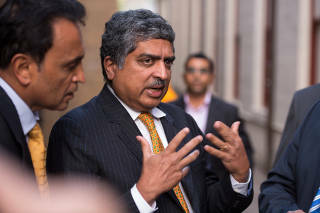 The small shareholders were very vocal in articulating their delight at having a Tata join the board, and their conviction that the company would do well therefore. The ‘promoter’ label certainly carries tremendous brand equity in India. It was only as recently as in 2015 that the market regulator SEBI considered the possibility that a non-promoter-run company could exist in the system as well. The Infosys board too worshipped its promoters for the longest time. When they ran out of promoter CEOs, they brought back the eldest of them, and his son, to run the company for a second innings. After he exited the board and the business for the second time in 2014, the iconic NR Narayana Murthy asked the board to reclassify him from a ‘promoter’ to a ‘public shareholder’. There was a reason to it. Being classified as a promoter comes with a lot of responsibilities, exposure to being pulled up for management misdemeanours under the law, as well as being subjected to onerous insider trading rules. Ironically, reports have it, the board “persuaded Murthy to put the request in abeyance as they felt he boosted the brand value of Infosys”! What is even more ironical is that Murthy, now labelled a founder, wants special treatment not available to other public shareholders of equivalent shareholding, by way of off-board consultations. What else is his ask is unclear. While there is crawling progress, despite a push from the legal and regulatory framework, in how boards understand, leave alone fulfil, their fiduciary responsibilities towards the institution and all its stakeholders (of which shareholders are a part), promoter activism has now burst on the Indian scene. Two prominent promoters, Narayana Murthy and Ratan Tata, have gone to war against the managements and boards of the companies they promoted to safeguard what they believed are declining standards of corporate governance, culture, values and performance. But that’s where the similarity ends. Tata exercised the rights accorded to him because of his significant shareholding, boosted by the holding company structure of the group. Murthy is claiming legitimacy from a pulpit built on moral outrage, his founder status and the glory of good governance during his time. Tata’s end game was clear, even though there was much speculation about his ‘real’ motivation for doing so—to change the unsatisfactory (to him) top team and restore the governance structure of individual Tata companies being represented on the Tata Sons board, which he swiftly executed with his shareholding clout. Murthy’s end game is not clear, and the process followed is reminiscent of that now famous dialogue from a Hindi potboiler: “Rawbert, is pille ko liquid oxygen me daal do. Liquid usko jeene nahin dega aur oxygen usko marne nahin dega”. (Robert, drop this fellow into liquid oxygen. The liquid will not let him live. And the oxygen will not let him die). Vishal Sikka said the same in different words, and chose to quit. Murthy’s stated end game is to improve the governance of the company, “like it was in the old days”. Presumably he would like to use this lever to replace inconvenient (or is it non-performing?) members of the present board of directors (many of whom were his handpicked ones, from the days when he was chairman of the board) with his own trusted candidates, thereby creating a more pliable board and have greater control of company direction and operations, despite his small shareholding. A sort of Sonia Gandhi – Manmohan Singh type arrangement, with the invisible remote control. Whatever it is that he is seeking to achieve, by the rules of capitalism, he doesn’t have the same power as Tata to make it happen surgically, unless he gets more shareholders to join him in the fight. Perhaps being in a hurry, he has resorted to a variety of means to try and get his way, mostly using the media to air allegations and, based on the board’s statement to the BSE, he seems to have extensively used the tactic of “And I will expose you in the media if you do not do what I ask”. The ask has included several operational and management issues, and on some issues like CEO remuneration, which were approved by most the shareholders after following due process. He was helped fortuitously by leaks in the media of his conversations with individual board members about the CEO’s performance. It is not clear why those conversations happened in the first place, because it is a clear case of information asymmetry. This is a question I have even for the Tata Sons spokesperson who said that they had not been consulted prior to major decisions being brought to the board. I thought the purpose of seats on the board was to provide the way to be consulted and to put forward their views. Off-board discussions, no matter how pragmatic, are doing a certain section of shareholders an injustice and making board discussions window dressing at worst and biased at best. Based on the leaks, one wonders whether the three board members who have had off-board discussions with Murthy would be willing to discuss the context in which their judgment permitted them to have this discussion. Anyway, the good news for normal shareholders was that the board has made a public statement, and the CEO has quit, making his reasons public. And this has given the shareholders not privy to board-founder discussions an opportunity to vote with their feet, or make up their minds on whether to participate in the proposed share buyback offer or not. Is Murthy pushing for good governance this way good for the institution called Infosys? Is Murthy pushing for good governance this way good for the institution called Infosys? The immediate problem the board will face will be to find a good replacement for Sikka. Potentially good CEO candidates will want a free hand to deliver results and will be suspicious of whether they will be able to get it. The result may be suboptimal leadership or one that agrees to do what Murthy asks for—which may or may not be what’s good for the company. But it is not black and white. It is a case of we don’t know. Had this been another day and age when Murthy was in charge of governance at Infosys, and had another 4% shareholder behaved the same way, he would have pushed back hard too, much as the board has done today. When questioned on what additional risk the company was put under with the rhythmic and frequent change of CEOs to give each one of the founders a chance at the wheel, all he has said was that the board has vetted them after a rigorous process. But this raises a few questions. Was there some explicit promise made by him to all the founders that was not put in the public domain? Did the board display the highest standards of governance (independent judgment free from pressure) in keeping that promise? How forthcoming would he have been as chairman of the board had he been questioned by even the single largest individual shareholder like himself on the board’s colossal failure of not having built even a half way decent line of succession (after the forced line up of founder CEOs got exhausted) despite being such a people-intensive business? If a similar kind of shareholder had demanded to know more about deliberations of strategy discussions at the board that challenged they “stick to the status quo, don’t transform the business despite obvious risks”, what would his reply have been? What if there were demands made by a shareholder to make public the entire internal investigation reports of the Phaneesh Murthy episode that led to a large out-of-court settlements? He may most likely have said “please come to the AGM and talk” or “this company is being run by excellent people with the highest standards of integrity and we know what we are doing” and “all discussions of the board cannot be made public to all shareholders”. All this raises the spectre of yet another set of questions that boards need to think carefully about and formulate their points of view on. What special rights does a large individual but minority shareholder have to be able to raise questions, get heard, and get answers? On what basis can she insist that her issues be acted on in the manner in which she prescribes? And are all shareholders equal or do we add emotional shareholding to financial shareholding? Is it okay for some shareholders, undoubtedly smarter than the rest and with more experience about the company, to get pre-consultation privileges while the others don’t? Is that fair? Is pragmatism better for institutions than puritanism when it comes to corporate governance? It is common practice for board chairmen and managing directors (MD) to engage with Financial Institutional Investors (FIIs) or private equity players, especially when they have come in via Qualified Institutional Placements (QIPs) or other such instruments. The board as a whole is not privy to the commitments made, whether it be strategic, operational or financial. These are generally never made public, minutes of such meetings are usually kept vague and yield no information. It could be innocuous but it certainly isn’t good governance in the sense of transparency. When the board of Infosys says repeatedly that it has engaged with Murthy a lot and had several dialogues with him, one cannot help but wonder what exactly transpired. Were any promises made and were these against the interests of the smaller shareholders or the institution? Was it one of these discussions that led to the decision to appoint the co-chairman? For what reason and by what process was he chosen and with what role description? Why would a board need a co-chairman? Is it a signal that the chairman isn’t good enough for the job? What other agreements have been made and does it impair or bias the functioning of the board? The board has its share of explaining to do as well on the issue of CFO severance pay that it said maybe it had erred on, and a twitter happy board member said more. The board needs to be more explicit to assure all stakeholders that this is not the tip of the iceberg beneath which lies a whole lot of other things that this was hush money for. It also shows that it is perhaps not in full control of its CEO. Is it supervising CEO decisions enough, and does it have the courage to say no to a star CEO? In this whole situation, neither the board nor Murthy can wrap themselves in the good governance flag. It is clear though that corporate governance is not about ritual alone. Boards that win corporate governance awards mostly do so based on process and ritual, and rarely on the basis that it showed spine or good judgment or bit the integrity bullet when it had to. I have advice for all those who host and attend seminars on corporate governance: Don’t waste your time, unless you are ready to address the real issues like the ones we just discussed. The focus of training should be to create directors and boards with clear thinking brains connected to well-functioning spines, decision making devoid of sentiment and putting the institution’s well-being (as they judge it) at the centre. 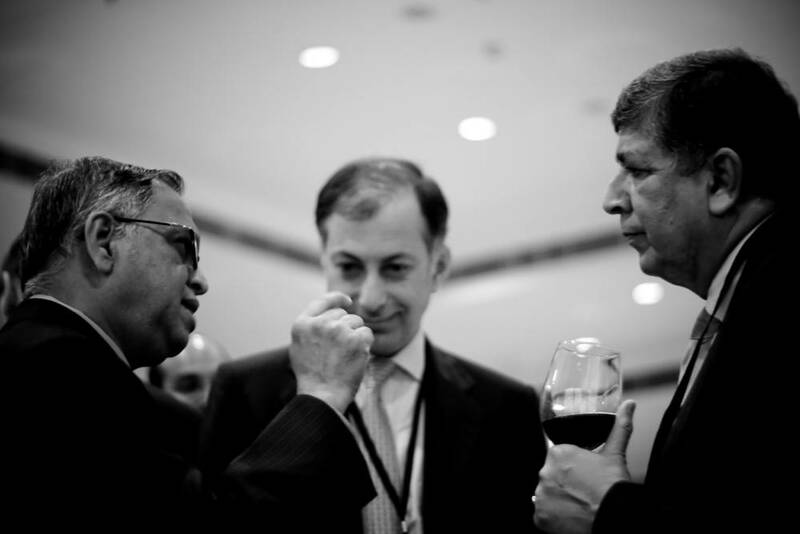 It is good that the Infosys board has found its spine. Belatedly perhaps. Short-lived perhaps. But we look forward to more boards not being afraid to do the same, should the situation warrant it. 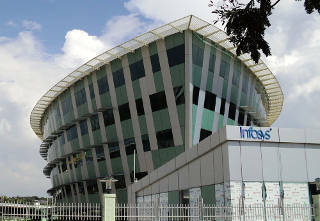 Where will the Infosys saga end? Someone will have to end up being the road roller and someone the road. It is not clear right now who will become what. However, we welcome chairman R Seshasayee’s statement that quitting doesn’t solve anything, and that the Infosys board will work as a cohesive team, follow its conscience and discharge its dharma irrespective of who pushes how hard to make it do what it doesn’t believe in. That, ironically again, has been the Murthy doctrine when he was leading Infosys, and that is a good path to follow. 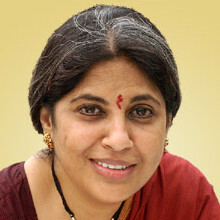 Rama Bijapurkar has served as an independent director on several of India’s blue chip boards. She is also a former independent director on the board of Infosys. Views expressed here are her own personal views and cannot be construed as a statement of events during her time on the board. Couple of years back I attended AGM of CRISIL at Mumbai. I had sentthe issuesin advance. Unfortunately when I was speaking Madam Rama Bijapurkar and Nachiket Mor were talking as if least bothered. One time I remember a professional team taking on the promoters was when ITC team took on BAT and did not let them raise the stake and take management control. Rama Bijapurkar is India's most respected thought leader on market strategy and India's consumer economy. She has an independent consulting practice and works across sectors and organization types, describing her mission as 'bringing market and customer focus to business strategy'. In addition to her consulting practice, Rama has served as an independent director on the boards of several of India's blue chip companies. These include Axis Bank, Bharat Petroleum, CRISIL, Godrej Consumer Products, Infosys, ICICI Prudential Life Insurance, Mahindra & Mahindra Financial services Ltd, Redington Gulf FZE. She also serves on the Governing Councils of the Banking Codes and Standards Board of India, the Insurance Information Board and is a member of the Eminent Persons Advisory Group of the Competition Commission of India. She has been a regular visiting faculty at the Indian Institute of Management (IIM), Ahmedabad, her alma mater, and is a member of its Board of Governors. Bijapurkar is a dominant voice in the media on business and policy issues in her areas of interest and work. She is the author of the internationally acclaimed best-selling book on Consumer India, "We are like that only : Understanding the logic of Consumer India" (Indian edition, Penguin; international English and Chinese editions titled "Winning in the Indian market" , John Wiley ). She has most recently published a sequel to this, titled "A Never- Before World : Tracking the evolution of Consumer India" (Penguin). She is also the author of "Customer in the Boardroom: Crafting Customer Based Business Strategy" (Sage). She holds a B Sc (Hons) degree in Physics from Delhi University and a Post Graduate Diploma in Management (equivalent to an MBA) from IIM, Ahmedabad. Prior to setting up her own consulting practice, Rama has worked for over two decades in leading market research and management consulting companies. An ecosystem of style over substance?